Soon there will be another place to grab lunch with some of your favorite characters at Disney World. 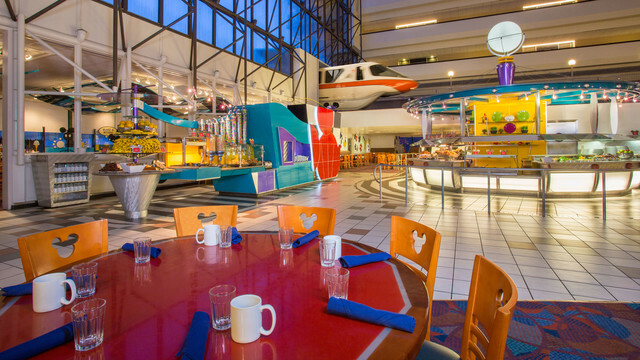 On May 31, Chef Mickey’s at Disney’s Contemporary Resort will begin serving brunch in addition to their normal breakfast and dinner buffets. The brunch menu will include breakfast favorites, soups, salads, veggies, antipasto, barbecue ribs, chicken, an ice cream bar, assorted bakery items, and more. Brunch will be served from 11:30am – 2:30pm each day and can be enjoyed while you visit with Mickey and the gang. Reservations will open up Friday, May 22 and can be made online or by calling 407-WDW-DINE. Excited about Chef Mickey’s Brunch? Are you booking a reservation?